I have often thought that there are two ways to tell history: the big story gleaned from myriad sources and the little stories drawn from the memoirs of those who participated in events. Voices from the Past: Armistice 1918 effectively blends both techniques to take readers back to the last days of the Great War and its aftermath. Although mostly presenting the worlds of those who lived at the time of the Armistice, author Paul Kendall skillfully employs the narrative to lay the background and place the quotes in context. This work is divided into four parts: The Path to Peace, Final Battles, Armistice, and Aftermath. "The Path to Peace" chronicles a more complex path winding from German proposals as early as 1916 followed by Pope Benedict XV's December 1917 initiative, Lloyd George's ten conditions, and Woodrow Wilson's Fourteen Points. An analysis of the overlaps and differences makes for interesting reading. German interest in Wilson's Points and Allied reluctance reflect the shifting fortunes of war and domestic stability. "Final Battles" is like the set-up pitcher in a baseball game—the offensives that caused the breakthroughs that weakened German lines, demoralized its armies and encouraged mutinies in concert with uprisings at home. This section makes clear that credit for the defeat of the German armies was shared among British, French, Australians, New Zealanders, Canadians, and Americans. Each reader is entitled to his or her own choice, but to me the most intriguing and tragic accounts are to be found in "Armistice." The period of negotiations was a roller coaster of emotions as reports of peace brought euphoria that retractions brought crashing down. The abdication of Kaiser Wilhelm II is presented not as a condition requested by the Allies but as a response to revolution across Germany and within his army. Reports of a red flag being hoisted above the Brandenburg Gate compel readers to appreciate the very real possibility that the red wave that consumed Russia could have extended into Germany and beyond. Lists of the participants in the negotiations leading to the Armistice are stark in whom they did not include— representatives of the United States. Repeated references in official documents to the Allies and the United States emphasize America's status as an "Associated Power." To me the most tragic stories are of the last-minute casualties. 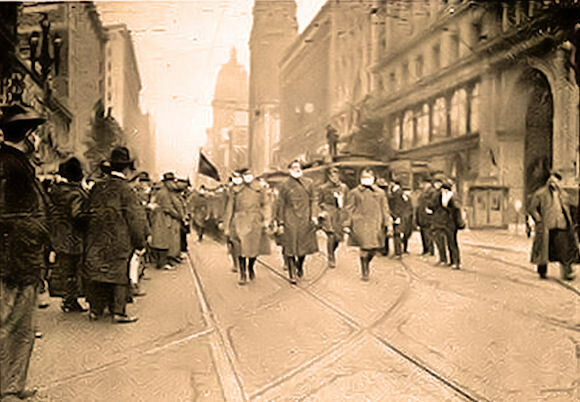 As news of the Armistice spread, orders that generally included prosecution of the war up to 11 a.m. for maximum gain were inconsistently followed. In some sectors quiet settled in before the specified time, whereas in others the guns roared to the last minute. Private George Ellison had been called to duty in 1914 and survived many major engagements before being killed around 9:30 on 11 November. He, the last British fatality of the war, is buried opposite Private John Parr who is recognized as the first British soldier killed in the war. The last of French fatalities was Private Augustin Trebuchon, who had enlisted in the French Army in 1914 and died at 10:45 on 11 November while carrying a message "Assemble for food at 11:30 hours." Perhaps the most troubling tale is that of Private Henry Gunther of Baltimore. His German name had made him the subject of anti-German propaganda which made him reluctant to enlist, but he was eventually conscripted in April 1917. After being reduced from sergeant to private as a result of a censored letter in which he discouraged a friend from enlisting, Gunther seemed determined to redeem himself. 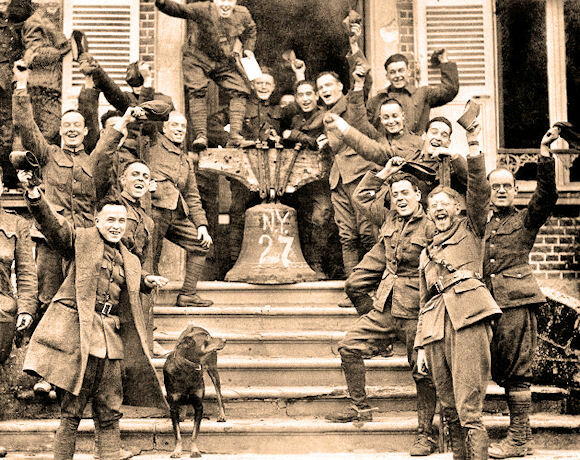 Minutes before the Armistice, Gunther and his platoon were advancing when they came under German fire. The sergeant ordered the platoon to take cover, but Gunther continued toward German lines. The Germans fired warning shots and tried to wave him off but when he got too close killed him at 10:59. "Aftermath" presents responses to the Armistice from the front lines, in lands evacuated by the Germans, and in the homelands of the belligerents. The transfer of German fleets to Allied control is one of the more bewildering events of the war. Although I have read many books about the Great War, from this one I gained new understanding of the roads to the Armistice and how it was viewed by its contemporaries. Kendall places the contributions of the nations into perspective. I find the rapid evolution of what was initially a cessation of hostilities with a chance of their resumption into an Allied victory and German defeat to be intriguing. The roles of the United States in the final battles and Armistice negotiations leading to President Wilson's place in the peace conference are an evolving saga. Their time for acceptance will be up in thirty minutes. There is a great big 155 Battery right behind me across the road that seems to want to get rid of all of its ammunition before the time is up...I just got official notice that hostilities will cease at eleven o'clock. Everyone is about to have a fit...What pleases me most is the fact that I was lucky enough to take a battery through the last drive. The battery has shot something over ten thousand rounds at the Hun and I am sure they had a slight effect. Captain Harry Truman (p. 214–215). The local pastor visited the hospital...I was in a fever of excitement as I listened to the address. The reverend old gentleman seemed to be trembling when he informed us that the House of Hohenzollern should no longer wear the Imperial crown, that the Fatherland had become a 'Republic,' that we should pray to the Almighty not to withdraw his blessing from the new order of things...A feeling of profound dismay fell on the people in that assembly, and I do not think there was a single eye that withheld its tears. As for myself, I broke down completely...Darkness surrounded me as I staggered and stumbled back to my ward and buried my aching head between the blankest and pillow...So all had been in vain. In vain all the sacrifices and privations, in vain the hunger and thirst for endless months, in vain those hours that we stuck to our posts. Gefreiter Adolf Hitler (p. 286–287). The final quotes are a fine conclusion.